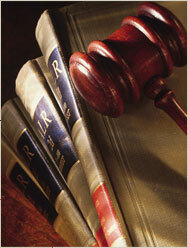 Our lead attorney, John A. Cremer, is an influential voice in legal circles. He is co-editor of Henry’s Indiana Probate Law and Practice, a widely recognized treatise on the topic. He frequently presents continuing legal education seminars and, for the last seven years, has taught the litigation section to prepare lawyers to pass the exam to become a Certified Estate Planning and Administration Specialist. He is also a member of the Executive Council to the Indianapolis Bar Association Estate Planning Section and is a fellow of the American College of Trust and Estate Counsel. John Cremer's father, Charles F. Cremer, Jr., began practicing law in Indianapolis in 1963 and started his own practice in the 1970s. He was a U.S. Marine Corp sergeant and served in the Korean War. A fierce litigator with a lot of heart, Charles was among the best probate lawyers in the state while he was practicing. John Cremer joined the firm in 1989 and practiced with his father until his death in 2000. 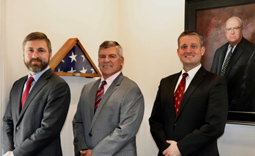 Today, we offer the valued experience of five attorneys including one Of-counsel who is a CPA as well as an attorney. For over 40 years, our attorneys have offered trusted guidance, sound counsel, and exceptional advocacy to clients statewide.